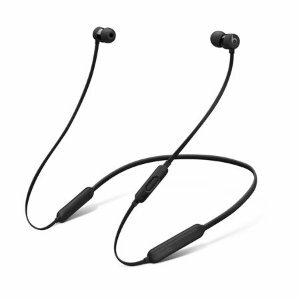 Walmart offers the Beats by Dr. Dre BeatsX Earphones for $75. Features: Fit for your life, BeatsX earphones are the perfect wireless companion. Experience authentic, clear sound throughout your day with up to 8 hours of battery life. With Fast Fuel, a 5-minute charge gives you 2 hours of playback. Its unique Flex-Form cable provides all-day comfort and easy pocket portability, while eartip options provide a personalized fit and secure-fit wingtips offer added stability.